Try a Templestay in Korea! My family loved Korea, and they also loved learning about it through several different experiences. One of the best was enjoying a templestay. We spent a night at the Haeinsa Temple. It was really beautiful, and although it was snowing and a bit chilly, that only helped us focus on meditation. Culture in Korea: Time For A Templestay! In the weeks before moving to South Korea I became increasingly interested in Korean culture, and one of more popular religions in Korea, Buddhism. When a friend sent me a facebook event for a temple stay in Busan, I was ready to pack one very light bag! Temple stays are programs run by Buddhist temples that allow foreigners, or anyone, to stay overnight at the temple for a set amount of time and experience a day in the life of a Buddhist monk. A room, clothes, and meals are included, along with Buddhist activites, like 108 bows and meditation. Every English teacher in South Korea must participate in a Temple Stay. Temple stays are extremely popular in Asian countries because of the popularity of the Buddhist religion. It is one of the most peaceful places to go after being stressed out due to city life. Many Koreans take a few days off from their stressful jobs to catch their breath during Temple Stays, but it is also a great experience for foreigners. The program is usually a one night, two day program with meals included. These meals, of course, are vegetarian. Rooms are divided up to the number of participants in your group, which is great because it allows for co-ed. Groups can be as small as two people and as big as a family. I recommend going with others because it is an experience you want to be able to share with others and reminisce about it. It also helps to have someone there as a support system because some of the activities you engage in may be difficult to submerse yourself in. In addition to eating and sleeping at the temple, there are a list of activities to perform and participate in during your time at the temple. 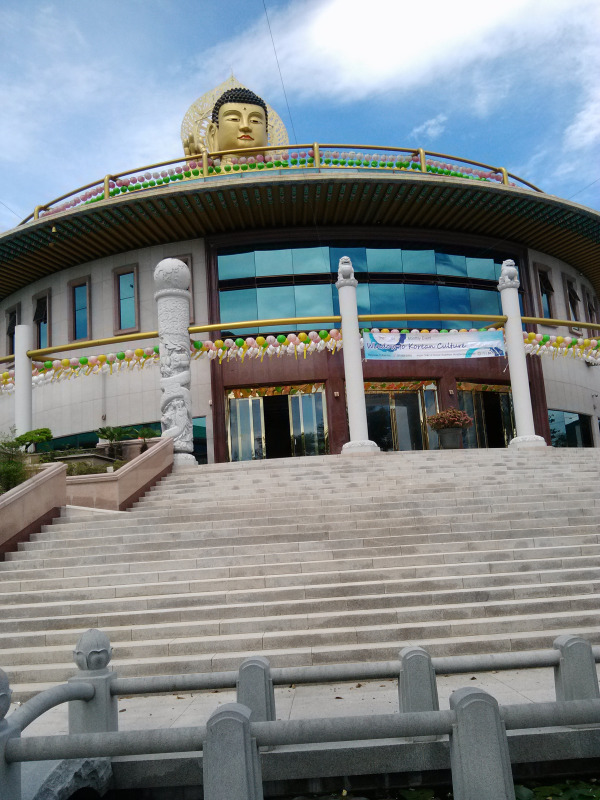 The activities differ from temple to temple as well as a variety of prices that covers certain activities which require a bit of research, but I definitely recommend the stay. The basic activities consist of a tea ceremony, bowing, and hiking. I think because we as a group of English teachers had trouble understanding the Korean language, they made it a little more fun for us and had us help out in the kitchen. For almost an hour (that went by so quickly), all we had to do was clean up bowls and dishes with the other monks. It was a bunch of fun, a little embarrassing here and there, but a great experience! The 선암사 (Sunamsa) mountain is so beautiful, there are a number of hikers that visit the temple daily. In addition to 선암사, there are a handful of other temples that are surrounded or in the mountain area which allows for great hike and exercise. It definitely helps to work in a hike with mother nature, especially after some meditation in the temple. In regards to my personal experience, I would definitely go for another Temple Stay. I have never thought of meeting a monk that I've learned to love, but I have grown close to a monk over the course of 24 hours. It was such a great experience, especially for those who are unfamiliar with the Buddhist religion, it allows for great absorption of the culture and understanding. I am grateful for the experience and it was definitely nice to get away from the city life of Seoul to a more relaxing and calm environment down south. The weather was amazing and it can only get better in the summer time! 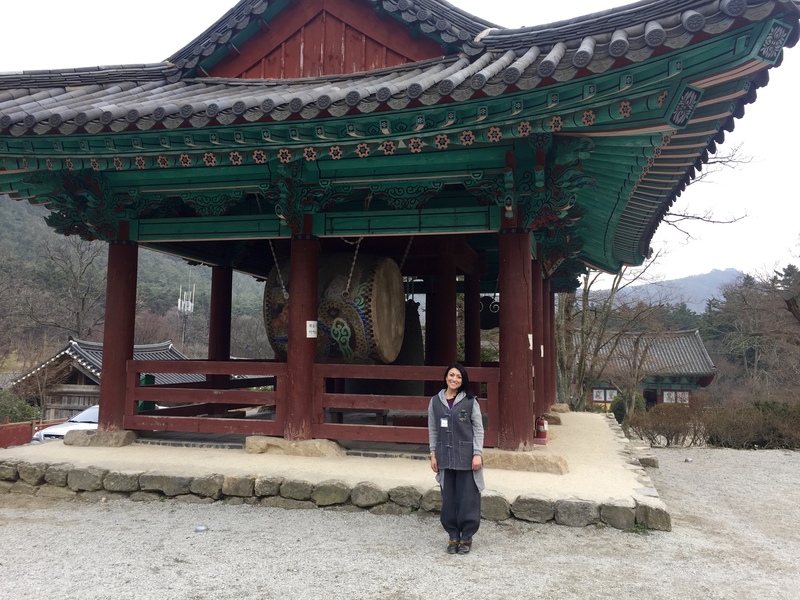 Graduating with a double major in Communications and Chinese from Rutgers University, it wasn’t long after working in the Big Apple that Cindy Ung decided to take a break from the cliché 9-5 lifestyle and move to Korea to teach English for CDI. Making the bold step to leave her comfortable, mapped out life in the States, she has fallen more in love with the Korean culture as each day passes. With weekly mountain hikes, weekend road trips, discovering great foods and beauty products, constantly meeting new people, her life in Korea has been everything but mapped out. 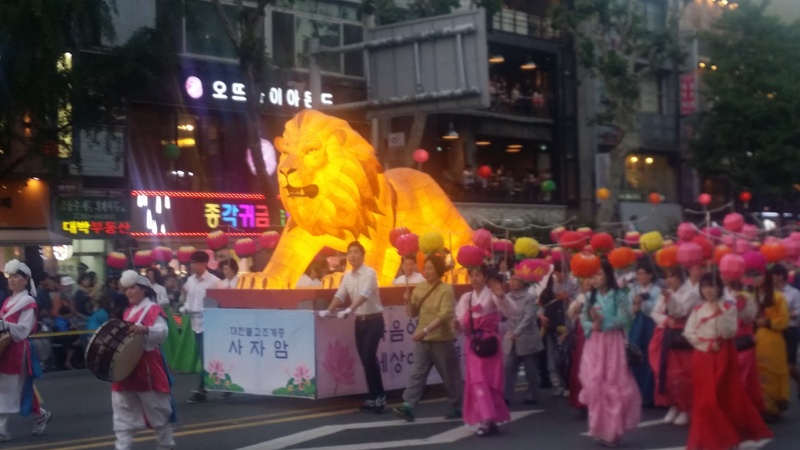 Check out Cindy’s blog to get a glimpse of what Korea has to offer!